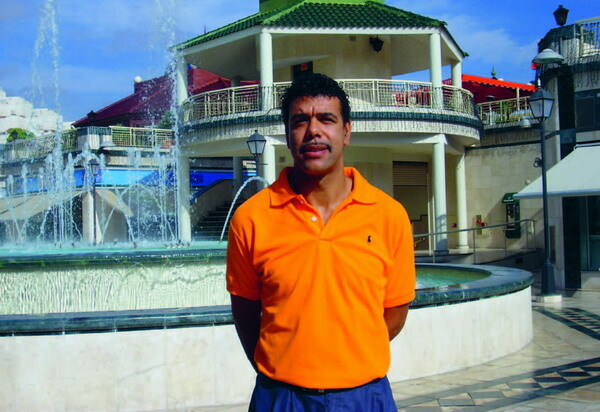 Chris Kamara must surely, in the eyes of most football fans, be one of the luckiest men in the world. Not only has he enjoyed a career in football, including management, but now he is paid to attend top football matches and report on them on Sky’s Soccer Saturday. He also presents Goals on Sunday for Sky, writes a weekly column for The Sun newspaper and has just recorded his first TV advertisement for Ladbrokes which can be seen on ITV. 22.12.2007 - To local radio listeners in the Canary Islands, he is the voice of estate agents Crossley, Morfitt & Lennox. Island Connections recently caught up with him at the Hotel Europa Villa Cortes and we asked him for his predictions for the Spanish League and the Premiership. Regarding Spain, he has no doubt that Real Madrid will win, and also commented, “if Rijkaard isn’t top by Christmas, it’s Jose’s (Mourinho) job”. On the Premiership, he commented, “Arsenal for the Premiership - in first or second position! I’m a gambler! But actually Manchester United will probably win the League”. If you would like to ask Chris for more predictions, you can catch up with him from time to time at the Irish music bar called the Hole in the Wall at Parque de la Paz in Playa de las Américas, where he is a partner. Produced with news.CMS in 0,0735 seconds.